Dallin Elementary School is a K-5 public school in Arlington, MA. 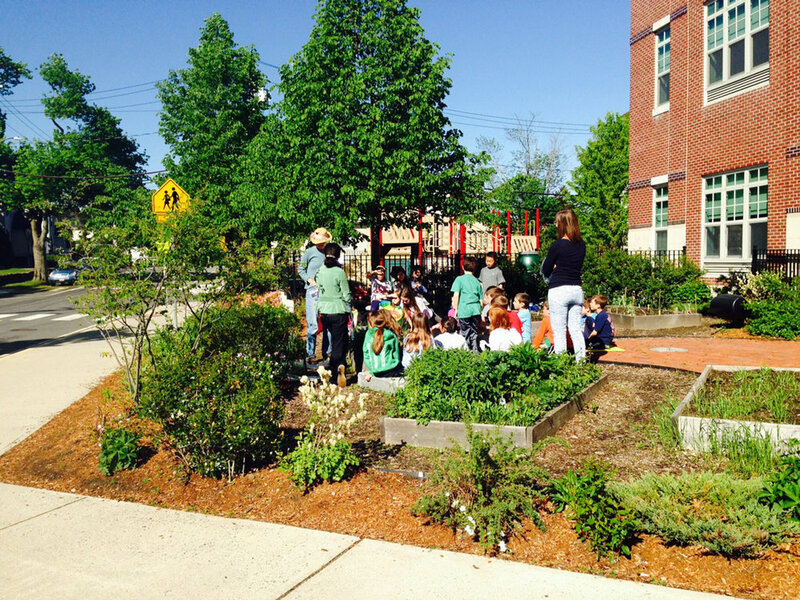 The learning garden was a product of parent initiative to create a dynamic and educational garden in the front yard of the school. Initially conceived of as a science garden, the four raised beds allow students and teachers from all grades to plant various plants, observe them as they grow and experiment. 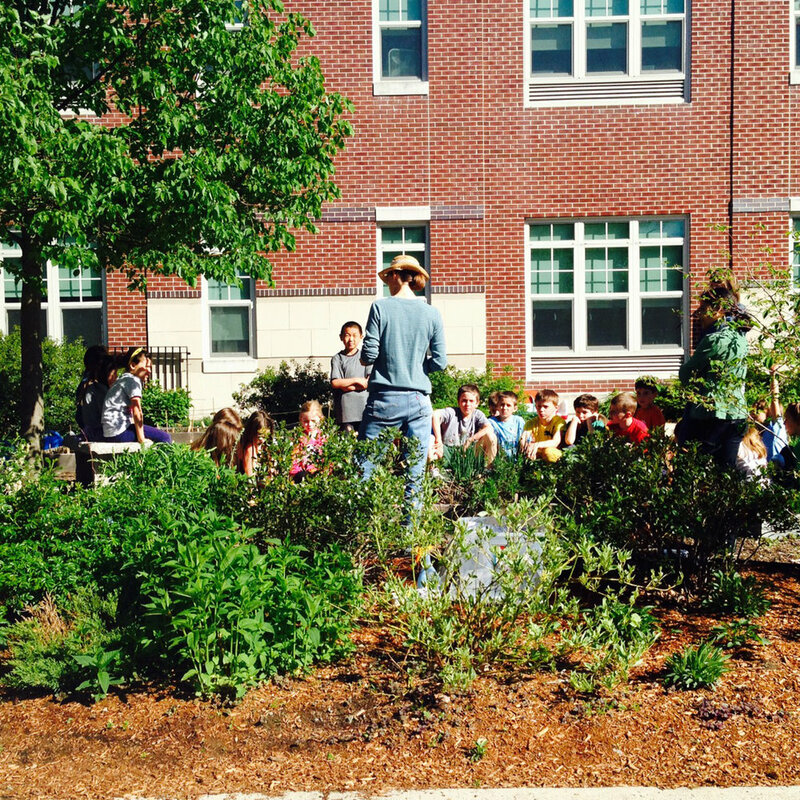 Salvaged granite curbs and a brick central patio provide casual seating for an outdoor classroom surrounded by predominantly native planting. 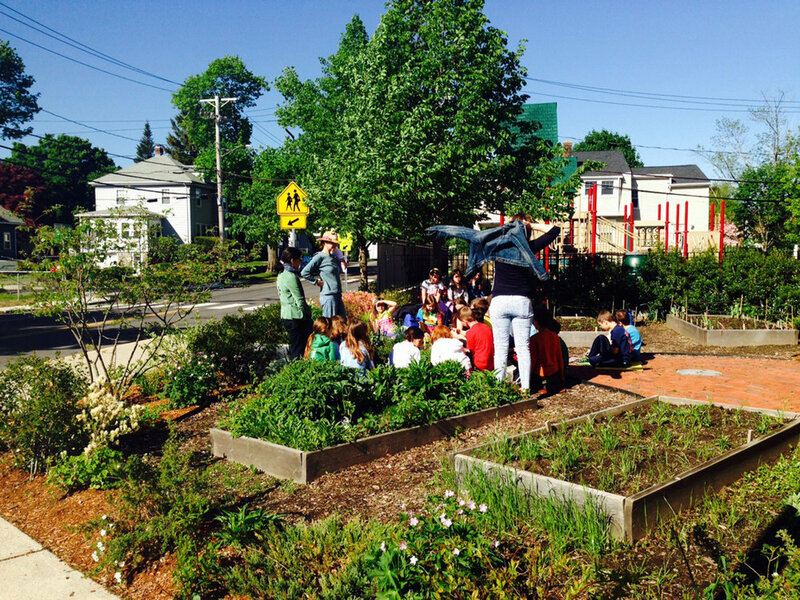 The learning garden was funded by a $5000 grant from the Arlington Foundation. Shauna Gillies-Smith worked with the parents of Dallin students on a pro bono basis for the initial grant application as well as for the design of the garden. Parents and kids (including Shauna) constructed the garden, which is maintained by parent volunteers. 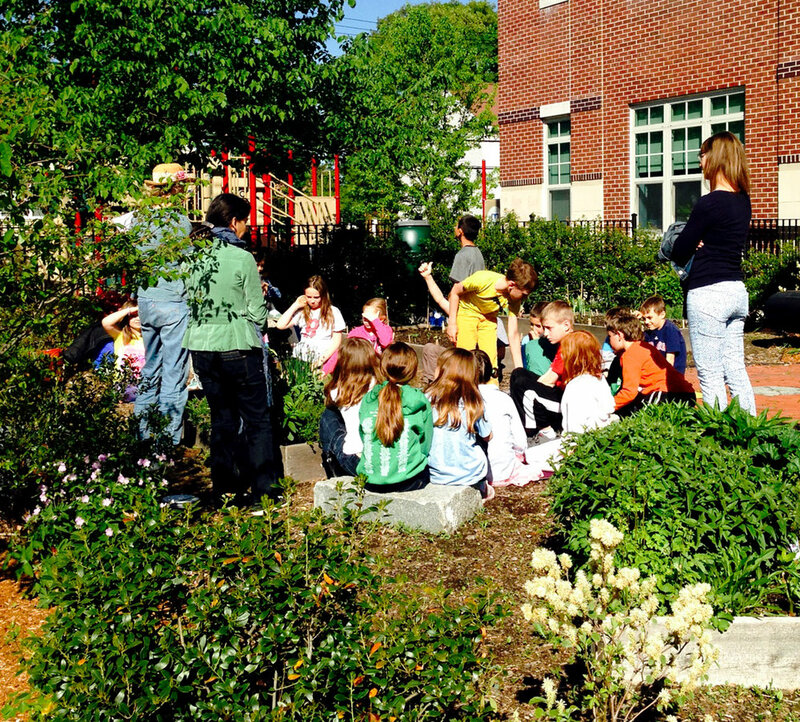 The resulting space is a fun, hands-on outdoor classroom that inspires student’s imagination and learning.